The All Hallows’ Eve, when the veil between fall and winter, life and death attenuates, the days get shorter and the nights get cooler, steering us into the winter season. A hint of eeriness is infused in the atmosphere. 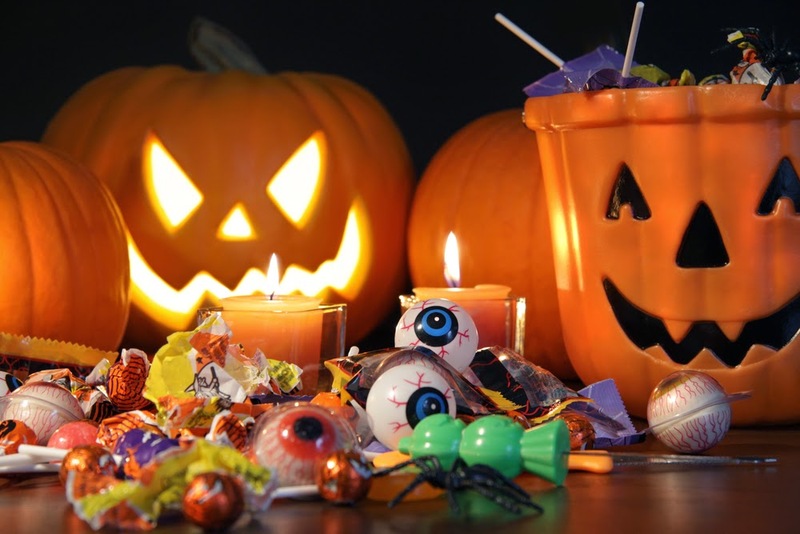 Curiosities and creativity are heightened, kids dressed up as tiny ghosts and goblins roam their neighborhoods for candy, pumpkins are carved, and it is an opportune day for trickery, folklores, and all things spooky. 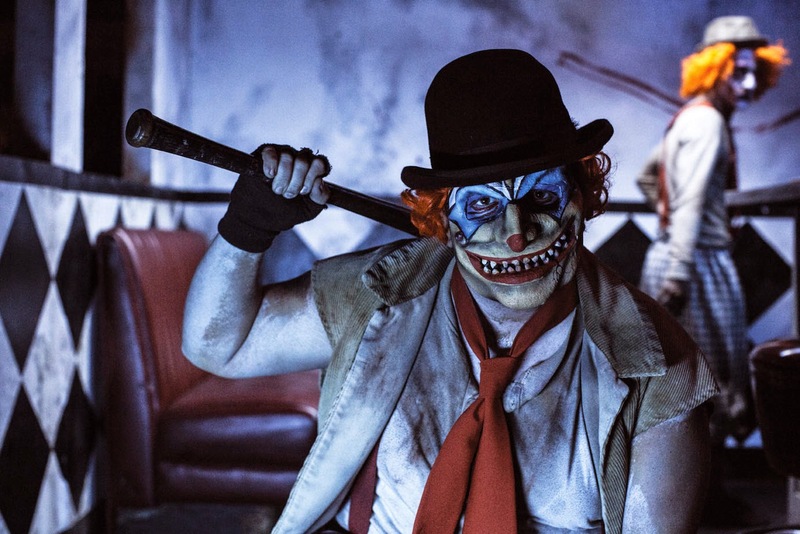 Halloween is the oldest celebrated holiday that can be traced back to around 2000 years and bares an exotic etymology that few may be aware of. Overtime the ethnic customs of this festival however, have been distilled to a more secular and community-oriented holiday symbolized by activities such as trick-or-treating, apple bobbing, jack-o’-lanterns, the very symbolic candy corn, and dressing up in weird spooky costumes. But amidst all the commercialism this festival in fact boasts a rich and complex history with its roots embedded in ancient pre-Christian Celtic rituals. The origins of Halloween date back to the ancient Celtic festival. Around 2000 years ago, the Celts were a pastoral community who populated most parts of Europe, predominantly areas that are today established as Ireland, the United Kingdom, and northern France. They were deeply rooted in pagan worship and quartered the year by four primary holidays. Correspondingly the day observed as the beginning of a new year in their calendar was November 1st, which also signified the dawn of winter when crops were harvested for storage, and all cattle and livestock were relocated to warmer pastures. It was an emblematic day of “transition”, from an end to a new beginning in the eternal cycle of life and death. The end of a warm summer and the beginning of the cold dark winter was a time associated to death as many lives were succumbed to the bleakness of winter. Thus, the Celtic belief regarding the night before the new year was the time when the perimeter between the living and the dead waned. They marked this day as a commemoration of the dead and it became a significant festival for the Celtic community called ‘Samhain’ (pronounced sah-ween) which meant “summer’s end”. The night of October 31 offered a bridge for the dead to revisit the Earth. In addition to causing menace, playing cruel tricks on people and devastating their harvests, they were also able to commune or even mediate with the living. This was an opportune occasion for the Druids and priests to summon spirits for performing divinations that were a solace for people to help endure the long dark winter. The Celtics would celebrate Samhain by dressing up in costumes that comprised of animal heads and skin, which was mainly to keep the ghosts at bay. They would then set up mighty hallowed bonfires, which the inhabitants would encircle around to perform the sacrificing ritual of offering small portions of their harvests and animals into the fire for their Celtic deities. The celebration would be concluded by people returning home and igniting their hearths with the sacred bonfire as a symbol of protection throughout the harsh winter. Such were the customs of the Celts behind observing the Samhain festival. As the expanse of the Roman Empire strengthened, by 43 A.D. it had subjugated most of the Celtic region. During their 400 years of sustained rule, majority of the Celts were forced to convert to Christianity by abolishing most of their pagan customs and infusing some with their own variations. 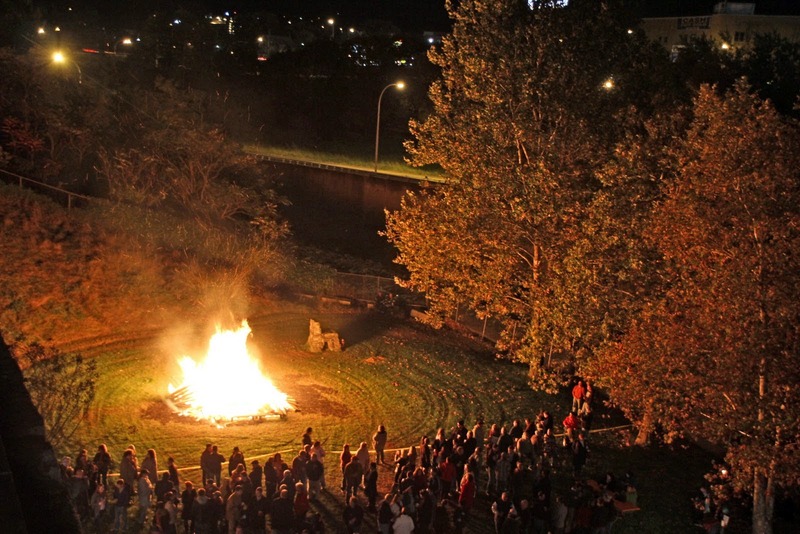 The Celtic Samhain festival was one such example. Pope Boniface in 609 A.D., dedicated a day of feast as a tribute to all Christian martyrs and called it “All Martyrs’ Day” which was later revised by Pope Gregory III (731-741) to honour all saints as well as martyrs; thereby renaming it as “All Saints’ Day” or “All Hallows’ Day” and shifting its observance from May 13 to November 1. 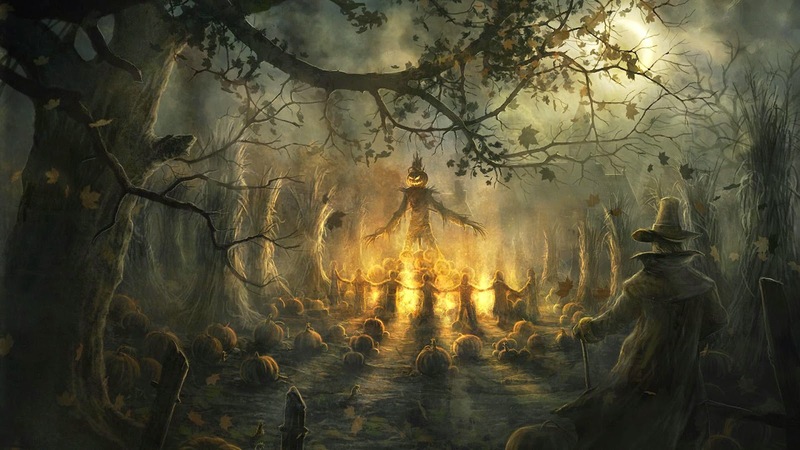 Today, it is believed that at the time with Christianity being enforced on people the Church tried to substitute the Celtic Samhain festival with All Hallows’ Day but instead of completely obliterating it they infused it with the Christian festival. The idea at first was to lure in the devotion of the Celtic community and replace it altogether, however the rich Samhain customs were tough to eradicate. Hence, the festival of All Hallows’ Day was revised yet again; while the essence of honouring the dead remained untouched people celebrated the prior night by blazing the traditional Samhain bonfires, dressing up in costumes, and parades. Since the festivities were celebrated the evening before All Hallows’ Day, it was called the “All Hallows’ Eve”, which later evolved as a contraction known famously today as “Halloween”. Halloween is a festival that is observed across different cultures. Though the celebrations differ slightly, the essence of commemorating the dead remains unanimous. For instance, ‘Dia de los Muertos’ or the “Day of the Dead” is the Mexican version of Halloween observed from October 31 to November 2, wherein people come together to pray for their loved ones who have passed away. 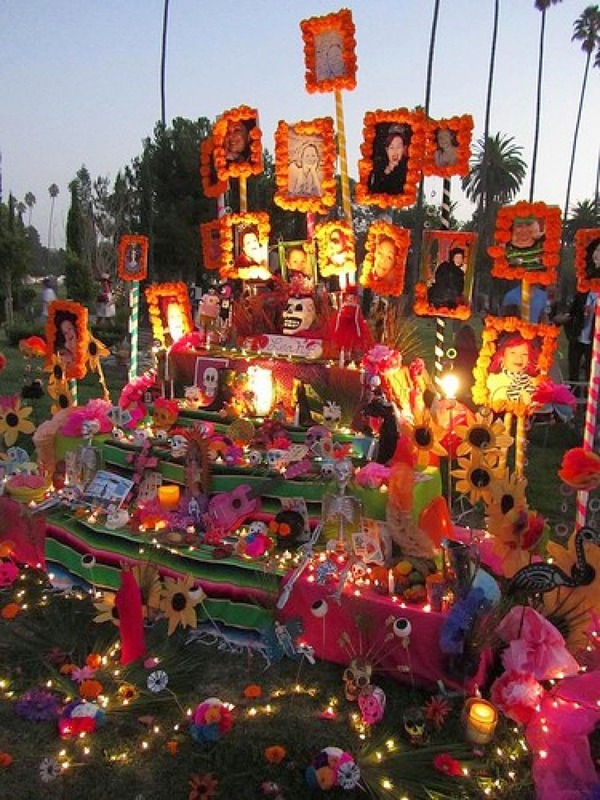 Their celebrations involve building private altars in which they offer sugar skulls, marigolds, their favoured food and beverages, and later visit their graves. In Britain, kids light candles in skulls and place them in graveyards to honour the dead. Halloween is also celebrated in Asian countries such as India, Japan, and Philippines. Today, it is the second most commercial holiday celebrated in the world, after Christmas. 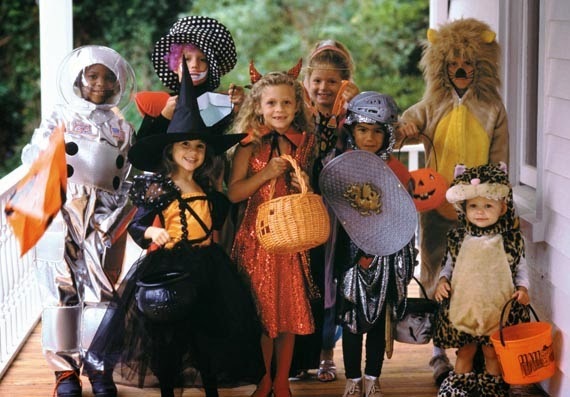 Not just kids but even adults take to the spirit of this festivity, which over the years has transformed from a traditionally rooted pagan ceremony of honouring the dead and their deities to a day invested towards candy, costumes, partying, visiting haunted houses, and numerous other weird things that can be acceptable only on this day. The writer is Final Year Media & Communication Student who is specializing in Print and Online Journalism.